Bellator 216 “MVP vs. Semtex” is set to take place tonight (Feb. 16, 2019) from inside Mohegan Sun Arena in Uncasville, Connecticut. 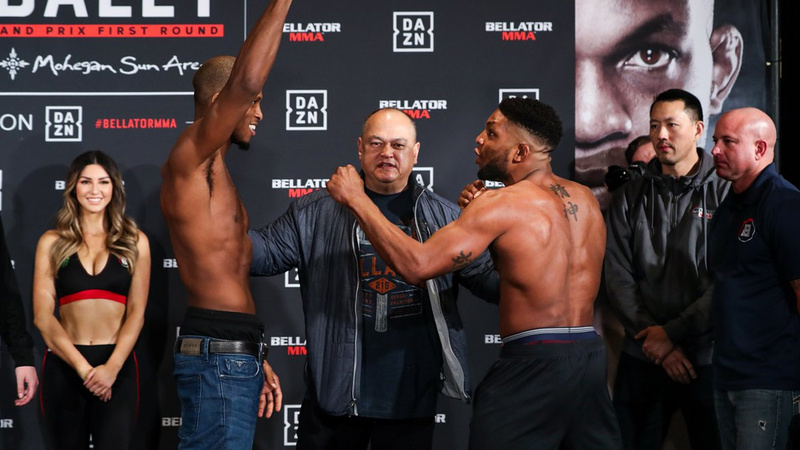 The main headliner features a highly anticipated grudge match between two British welterweight rivals Michael “Venom” Page and Paul “Semtex” Daley. Whoever emerges victorious will go on to face Douglas Lima in the Bellator Welterweight Grand Prix. The main card also features some great action which includes a former Bellator heavyweight champion Vitaly Minakov returning against Cheick Kongo. A great win will decide which men get a chance to meet champion Ryan Bader. PRIDE legend Mirko Cro Cop’s meets Roy Nelson in a rematch of their UFC 137 spectacle as well former UFC welterweight Erick Silva makes his Bellator debut against unbeaten Yaroslav Amosov. The five-fight main card kicks off at 10 PM ET/7 PM PT on DAZN streaming services. Viewers in the US can sign up for a 30-day free trial now. 👊💥@Kongo4Real is your winner in the heavyweight feature fight at #Bellator216 tonight.